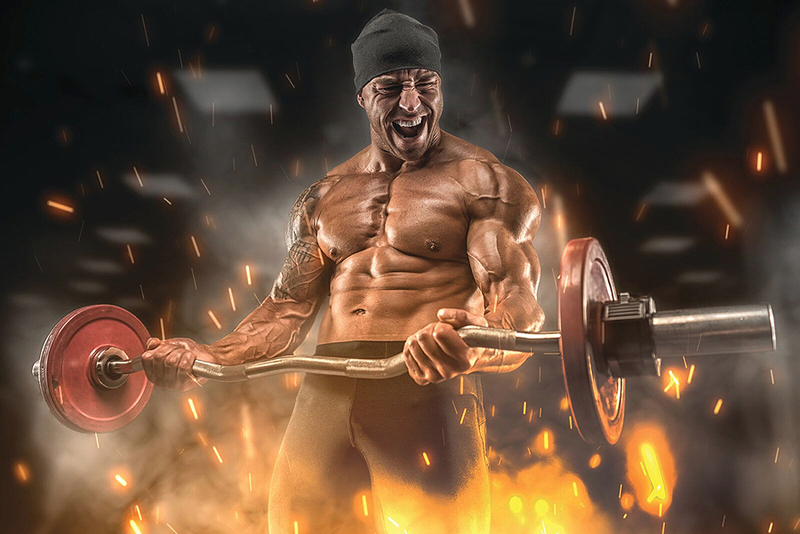 Can You Get Ripped Through Diet Alone? Here is a fitness hack for you: If you’re dieting, chew gum during the day in order to stuff fewer calories in your mouth. It sounds too simple to actually work, but scientists have proven it out. Researchers monitored 60 subjects on a re-duced-calorie diet. After lunch, half of the partic-ipants chewed gum while the other half did not. Three hours after the midday meal, all the subjects were given a snack and asked to rate their hun-ger. The group that did not chew gum consumed 36 more calories (about eight percent of their total daily intake) than the gum group, and they described themselves as being hungrier than the gum group as well. It made no difference whether the chewers chomped on gum that contained sugar or on sugar-free varieties. Interestingly, the gum seemed to be better at blunting the desire for candy and sweet foods rather than salty snacks.